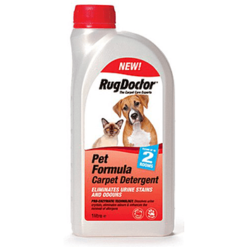 The concentrated, fast evaporating solution reduces drying time. 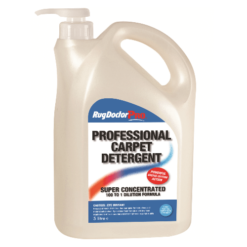 The dispersing cleaning agents penetrate into carpet fibres and lift dirt to the surface for more complete removal. 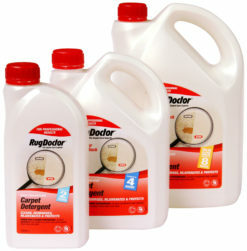 The solution/water mixture forms a thinner layer on the carpet for accelerated drying. 1. First thoroughly vacuum the area. 2. 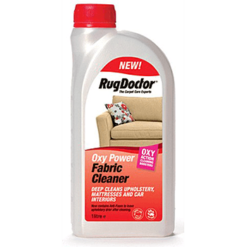 Mix the Rug Doctor Pro Quick Dry detergent with warm water – please see table below as the ratios can differ depending on which machine you are using. DO NOT use hot water and only use luke warm water when cleaning wool carpets. 3. Apply a small amount of the diluted cleaning solution onto the affected area and blot to check for colour-fastness. 4. Add the cleaning solution to the bottom blue tank. 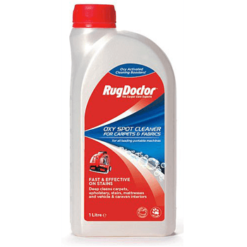 5.Start cleaning using a Rug Doctor Pro machine. NB: Always wear rubber gloves and safety goggles when mixing chemicals. Refer to the machine operating instructions which are clearly marked. DO NOT over-wet. 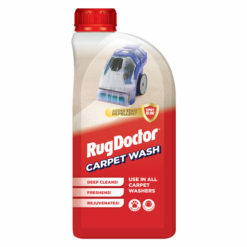 No more than two passes with the Rug Doctor Pro machine between drying. Good ventilation to the area will further improve drying time. 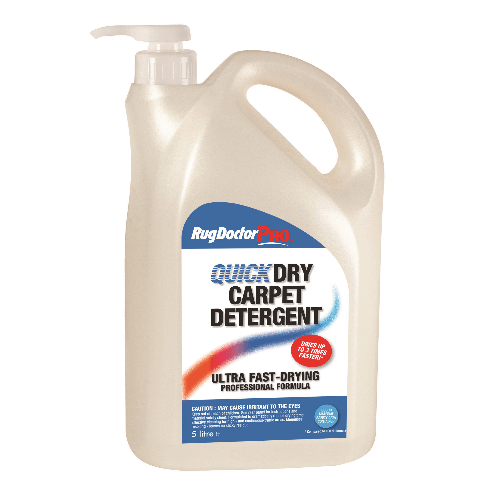 For optimum drying time use in conjunction with the quick dry setting on the quick dry machines.